the international design system, which allows an international design application to be filed under the Hague Agreement – the filing can be submitted to the Hungarian Intellectual Property Office (HIPO) which will then transmit it to the World Intellectual Property Office (WIPO) seated in Geneva, or submitted directly to the WIPO. Hungarian national design registrations are administered by the designs department of the HIPO. Registered Community designs are administered by the EU Intellectual Property Office (EUIPO). The national industrial design protection regime grants legal protection for the appearance of the whole or a part of a product, from the features of, in particular, the lines, contours, colours, shape, texture and materials of the product itself or its ornamentation. A ‘product’ is defined as any industrial or handicraft item, including parts intended to be assembled into a complex product, packaging, get-up, graphic symbols and typographic typefaces. The definition excludes computer programs. has an individual character (ie, producing a different overall impression on the informed user than any design which has been made available to the public before the date of priority). In assessing individual character, the degree of freedom of the designer in developing the design should be applied, considering the nature of the product to which the design is applied or in which it is incorporated, particularly the industrial or handicraft sector. The industrial design protection regime conforms to the imperative exclusion clauses of the EU Designs Directive (eg, excluding the features of a product which are solely dictated by its technical function). The 2018 European Court of Justice (ECJ) decision in the Doceram case (C-395/16) put an end to the long-lasting functionality debate between the followers of the mandatory approach (also known as the ‘multiplicity of forms’ test) (ie, Germany, France and the United Kingdom in the Landor case) and followers of causative approach (also known as the ‘no aesthetic consideration’ test) (ie, the Netherlands and the United Kingdom in the Amp case (EUIPO R 690/2007-3 Lindner Recylingtech GmbH v Franssons Verstäder, known as ‘Chaff Cutter’)). The ECJ voted for applying the ‘no aesthetic consideration’ test and explained that there is no hypothetical person, like the ordinary observers through whose eyes the choosing of functional and aesthetic features may be judged. Accordingly, in order to determine whether the features of a product’s appearance are exclusively dictated by its technical function, it must be established that the technical function is the only factor which determines those features. It is for the national courts to take account of all the objective circumstances relevant to each individual case. In the Footwear case, the Metropolitan Court of Budapest (Judgment 3.P.20.082/2009/9, 11 December 2009) established that the availability of alternative appearances that can provide the same functional result is irrelevant. The court specifically referred to Article 8(1) of the Community Design Regulation and cited that Article 6(1) of the Hungarian Design Act does not imply that the feature in question must be the only means by which the product’s technical function can be achieved. On the contrary, it implies that the need to achieve the product’s technical function was the only relevant factor when the feature in question was selected, as to some degree such features enhance a product’s visual appearance. Design rights do not protect a product, its functions or the technology or process that is necessary to achieve such a product, but the design embodied in or applied to the product. Accordingly, the Hungarian first-instance IP court took an early stand with the EUIPO’s approach in the Chaff Cutter case. The Metropolitan Court of Appeals (Judgment 8.Pf.20.430/200/4, 30 September 2010) upheld the first-instance decision. It also referred to functionality within the ‘designer freedom’ test when assessing overall impression – namely that the informed, conscious consumer or user is capable of establishing the designer freedom available for the designer. Thus, when deciding on the identity or dissimilarity of the overall impression, the function of the product plays a role regarding how the appearance was necessitated by functional, technological or economical constraints and how the designer used his or her creative freedom. These changes in EU design case law will improve the chances of invalidating a design, especially where parallel patents or utility model protection is sought for the same object. It is advisable to conduct a design functionality analysis before filing any industrial property right in order to minimise the risk of invalidity of a design. The Hungarian Design Act does not recognise the system of unregistered designs; it is therefore not possible to obtain protection at a national level for an unregistered design. However, when Hungary joined the European Union in 2004, the EU Design Regulation was adopted at the same time – this provides a sui generis right for protection for the unregistered Community design across the entire European Union, including Hungary. Such protection is provided for three years from the date on which the design is first made available to the public within the European Union. However, no use is required: the design must simply be disclosed in such a way that, in the normal course of business, the disclosure could reasonably have become known to the relevant circles operating within the European Union. In order for a Community design court to treat an unregistered Community design as valid, the rights holder need not prove that the design has individual character as defined by Article 6 of the EU Design Regulation; it need indicate only what constitutes the individual character of that design – that is, which elements of the design give it its individual character (eg, ECJ decision Karen Millen Fashions Ltd v Dunnes Stores). Under Hungarian legislation, only registered designs enjoy protection, therefore the designer or its successor in title must file a national design application with the HIPO. Foreign applicants filing national industrial design and international design applications under the Hague Agreement must be represented by an authorised patent attorney or an attorney at law residing in Hungary. Domestic applicants do not need a representative; however, professionals may help to prepare applications if necessary. all contain similar features which produce a unified overall impression on the informed user. According to the Hungarian design tariff, if the applicant and designer is the same person the filing fee is HUF8,000 (approximately €25). If they are different persons, the fee is HUF32,000 (approximately €100). Locarno Classification System: If the applicant does not identify the class attribute for the sample product in the application, the HIPO will perform the classification of the subject of the application in harmony with the Locarno System. The classification is solely administrative and the class has no effect on the scope of design protection. The classification system is frequently updated focusing on the changes and novelties in commercial practice. The 11th edition of the agreement is applicable from 1 January 2017. In design protection procedures the HIPO should maintain electronic communication; however, economic operators and the legal representatives of clients are not obligated to maintain communication electronically. a description of the product according to the design or reference to the priority document, and whether the filing fee was paid. The next step is notifying the applicant of the filing date. Where a natural person who is the rights holder is unable to cover the fee owing to his or her salary, income or financial situation, exemption from the design filing fee may be possible. The HIPO conducts a novelty search and draws up a search report based on the representation of the design. The search report indicates the documents which may be considered in accordance with the design or design group represented in the application on considering novelty and individual character. The HIPO then sends the search report together with the copies of the cited documents to the applicant on request and on payment of a fee. If the design application satisfies these requirements, the HIPO will conduct a substantive examination of the design application in order to ascertain whether it satisfies legal requirements. During the examination, the HIPO should invite the applicant to remedy the deficiencies or make comments. Registration: The HIPO grants protection for the design represented in the application if the design itself and the application are in compliance with all relevant requirements. Design protection should be considered granted as of the date of the resolution on the granting of protection. Design protection may be extended for up to four further five-year periods. In the case of renewal, the new period of protection commences on the day following the day of expiry of the previous period of protection. The protection may not be renewed on the expiry of 25 years calculated from the date of filing. Where the object of an application for a design or a design product in which the design is incorporated or to which it is applied, is copied without authorisation from the design of a third party, the holder or its successor in title may file for court action to declare that it is entitled to the whole or part of that design, and may demand compensation for damages under civil liability. Any person who unlawfully exploits a protected design commits design right infringement. The rights holder may have recourse to civil remedies against the infringer in the same way that a patentee has recourse against the infringer of its design under the Patent Act. Where a design right is infringed, the holder may request the customs authorities to act to prevent infringing goods from coming onto the market. The HIPO decision may be challenged by a petition for alteration before the Metropolitan Court of Budapest, whose decision may be appealed to the Metropolitan Court of Appeals. Any party which anticipates being charged with an alleged design infringement may pre-emptively request the HIPO to issue a finding to the effect that its product does not infringe on the specified design. The final resolution adopted for the declaration of non-infringement precludes proceedings from being instituted against the same product for infringement of the specified design. The HIPO decision may be challenged by a petition for alteration before the Metropolitan Court of Budapest, whose decision may be appealed to the Metropolitan Court of Appeals. According to Hungarian legislature, in accordance with HIPO decisions, there is no right of appeal, no administrative actions, no oversight proceedings may be opened, and no prosecutor’s intervention and action may be taken. The HIPO decisions adopted in connection with designs may be reviewed by the court in non-judicial proceedings, called ‘petition for reversal’. the decision adopted for imposing an administrative penalty and concerning the award and bearing the costs of the proceedings. The rights conferred by a design may be assigned, transferred and encumbered, with the exception of the rights of the designer stemming from the design. Under a contract of exploitation (design licensing contract), the design holder will authorise the exploitation of the design and the licensee will be required to pay a fee. Design licensing contracts are governed by the Patent Act pertaining to patent licence contracts. In the case of a service design, the rights will vest in the employer as the designer’s successor in title. Service designs are any design developed by a person in the execution of his or her duties stemming from employment, including to solve problems directly or indirectly related to the design. Employee designs are any design developed by a person not required to do so under his or her contract of employment; however, the use of such designs falls within the sphere of activities of his or her employer. In connection with employee designs, the right to the design will vest in the designer; however, the employer is entitled to exploit the design. The employer’s right of use is non-exclusive and the employer may not license the use of the design. The right of use will be transferred on the successor in title in case of the winding-up of the employer or the separation of its department; otherwise, it may not be transferred or assigned to any other person. National and Community trademark applications and national utility model applications should be planned carefully to avoid any involuntary disclosure which may undermine the novelty of a later design application; similarly, design applications can affect later applications for other IP rights. It is advisable to coordinate IP right acquisition procedures at both national and international level. Trademark rights may be used to protect the design of a product provided that the design fulfils the requirements for protection defined by trademark law. Two-dimensional designs can be protected as device marks, while three-dimensional (3D) designs can be protected as shape marks. Although a trademark right might serve the rights holder for an indefinite period, it can be more difficult to acquire than a design right due to potential exclusion on technical and aesthetic functionality grounds by the HIPO. Unfair competition law may be used to protect the packaging of a product or its 3D appearance. Unfair competition law may be used even if no registered right is available. Further, the scope of protection based on unfair competition law may be broader than that granted by a registered design, since it applies the principle of imperfect consumer recollection. However, it may be used only against direct competitors and places a heavy burden of proof on the plaintiff (eg, substantial evidence is needed to prove market recognition). 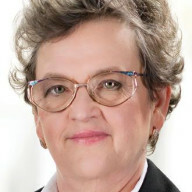 Katalin Mészárosné Dónusz is the deputy managing partner of SBGK Patent Attorneys. She has an MSc in mechanical engineering from the Technical University of Budapest, Faculty of Machine Manufacturing Technology and is a qualified Hungarian and European patent attorney. She is a member of the Hungarian Chamber of Patent Attorneys, the International Association for the Protection of Intellectual Property’s Hungarian Council of Copyright Experts and the Hungarian Trademark Association. Her practice areas include preparing national, European and Patent Cooperation Treaty patent applications covering the automotive, construction and toy industries; representation in trademark and industrial design prosecution matters before the Hungarian Intellectual Property Office and the Office for Harmonisation in the Internal Market; and advice in patent and industrial design litigation matters. Adam Gyorgy is a young trademark and design attorney at law whose field of research covers European and US trademark and design law. After finishing his JD at ELTE (Budapest), he obtained his LLM at Munich Intellectual Property Law Centre and is currently a PhD candidate at ELTE. Mr Gyorgy worked as a trainee with a number of top-tier IP firms in Germany and Spain. He recently became junior partner at SBGK, where his practice covers mostly contentious matters in IP law (eg, litigation, oppositions and invalidity actions). 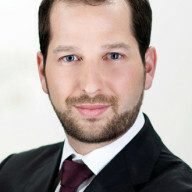 He is member of the International Trademark Association, the European Communities Trademark Association, the International Association of Young Lawyers and the Industrial Property Expert Body (Hungary), as well as being a national secretary for the European Practitioners in Intellectual Property and an active member of the Design Commission.